With the electric bike market developing, there are many types in the market. Own to the diversity of people’s favorite electric bikes, electric mini bike are produced. Mini 14 inch wheel is this electric mini bike the biggest characteristics. Shuangye electric mini bike A1-S was design for adult. Compare with other electric bike, the electric mini bike appearance look like more smaller, because its 14 inch mini wheel. So it frame is more suitable to female riding. Shuangye electric mini bike is not only fun to ride, but also they can be a practical solution for those who want to ride with less hassle and expense or dont’t have enough money compared to a full-sized motorcycle. Besides, the 36V 9AH/10AH lithium battery is hidden inside the aluminum alloy frame, so the electric mini bike look like a regular bike. And the 36V 350W brushless motor was installed on the rear wheel. The electric mini bike was design with front and rear 160 disc brake. On this base, it will ensure your safety and help you saving your energy when you riding. 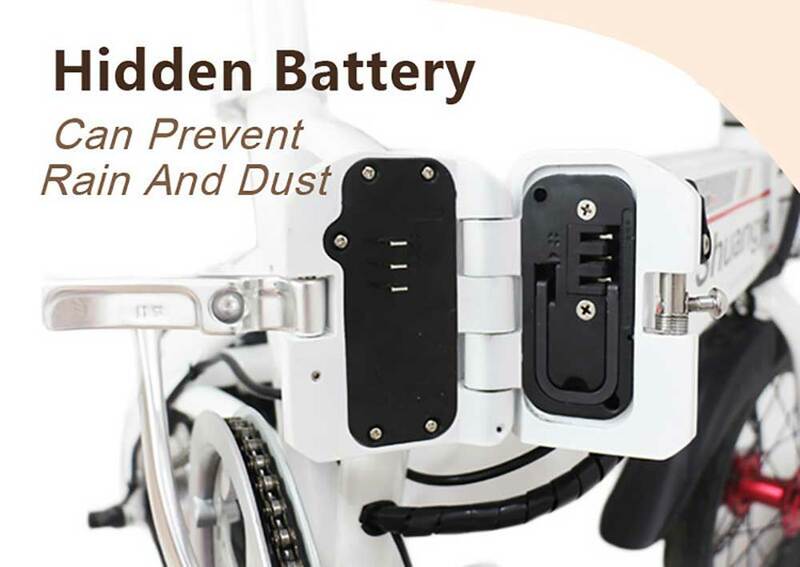 Also the mini electric bike support folding, it will be more convenience for those who want to buy a electric bike, but don’t want to occupied a lot of space. If you want to know more detail information about the electric mini bike A1-S, please contact us freely.